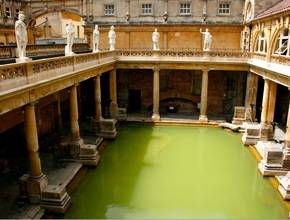 Our tour starts with a drive to Bath to visit the Roman Baths and Pump Room. In the late afternoon we visit Lacock for an early evening supper in a 13th Century inn, before driving to Stonehenge. As the sun begins to set, we enter the stone circle (which is normally roped off to the public) for a unique private viewing. The most dramatic and atmospheric way of visiting Stonehenge. On selected days the tour operates in reverse, beginning with a private viewing of Stonehenge before it opens to the public in the morning, so we see the stones in the eerie morning light. 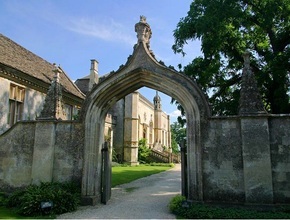 This is followed by our visits to Lacock and Bath. 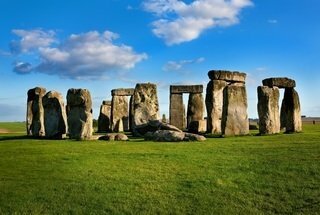 Built nearly 5,000 years ago, Stonehenge is the most popular prehistoric monument in the world. Most visitors to the site are not allowed direct access to the stones. With Premium Tours you get that access, with a private viewing of the mysterious monoliths. We will enter the stone circle itself and stand beside the mighty Sarsen rocks towering above us. Our guide will explain the history of this ancient site, pointing out the altar, slaughter and heel stones, above which the sun rises dramatically on the summer solstice. There will be time to enjoy the peace, away from the crowds, as we experience Stonehenge at its most mystical and atmospheric best. Not to be missed! Next, it's on to Bath, famous for its elegant Georgian architecture. During your panoramic tour of Bath you will be enchanted by the town's beautifully proportioned street. Your guide will also conduct an optional walking tour to show you a charming 17th-century Sally Lunn tea room and the Jane Austin Museum among many other hidden treasures. You'll see Bath Abbey and the much-photographed Pulteney Bridge, modelled on the famous Ponte Vecchio bridge in Florence. There will be plenty of time to visit Bath Abbey, or to shop and explore. Then we will enter the magnificent Roman Baths, where over one million litres of boiling water still burst free from the hot springs every day. The Roman Baths, is the best preserved Roman spa from the ancient world. 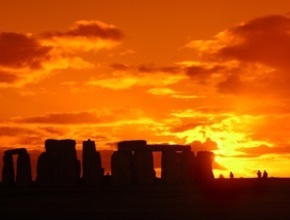 Please note at certain times due to the long summer daylight hours it is not possible to see the actual sunset but we arrive as early as possible to enjoy our private tour inside the stones. Hotel collections: Hard Rock Hotel (formerly Cumberland) 10.45am, Millennium Gloucester 11.10am. Please note that the pick-up from Hard Rock Hotel will not available from 1st June 2019 and the tour departs from Millennium Gloucester Hotel only. Amendment and cancellations must be made at least 8 days before the date of travel to avoid a 100% cancellation/amendment fee. Please note that Stonehenge reserve the right to cancel due to circumstances beyond our control such as poor weather conditions where they fear the ground and monument may be subject to damage from footfall. While this is rare to date, if it does happen it will most likely be in the winter.